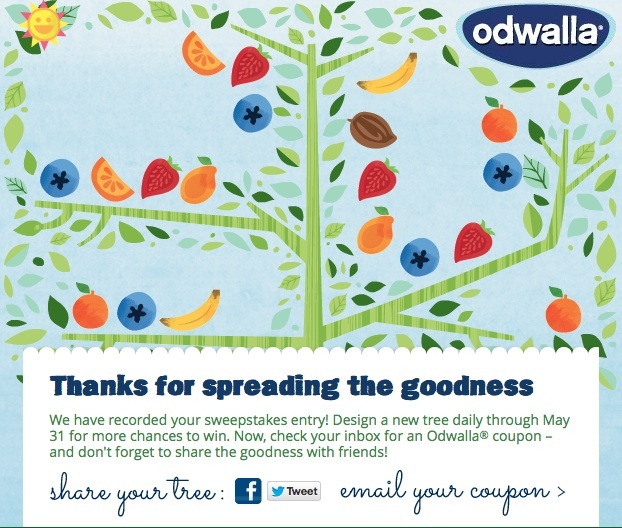 Crowdtap: GLAM feature Odwalla Planting 100,000 trees with your help! Here is my tree! Now its your turn! Please view this page, and then rate it! Odwalla’s Details: Between March 20, 2013 and May 31, 2013, Odwalla will contribute $1 for each tree you create to The Nature Conservancy for the planting of trees– no less than $75,000 and up to $100,000. The mission of The Nature Conservancy is to conserve the land and waters on which all life depends. More information about the Conservancy is available by mail at 4245 N. Fairfax Drive, Arlington, Virginia 22203, by phone at (800) 628-6860 or at www.nature.org. Please view the page, then rate it so Crowdtap will increase my points and likelihood that I will be chosen for more product reviews! I need 5 friends to view this page! Crowdtap will also make a donation to the ASPCA after 5 page views! This entry was posted in Crowdtap and tagged aspca, crowdtap, nature, nature conservancy, odwalla, pay it forward, plant a tree, planting trees on May 22, 2013 by christinapertz1.